IEM created Presto Cov to facilitate carpooling. This system incentivises individuals to share a vehicle, resulting in higher car occupancy rates, thus reducing traffic and consequently pollution. It also optimises use of parking spaces. 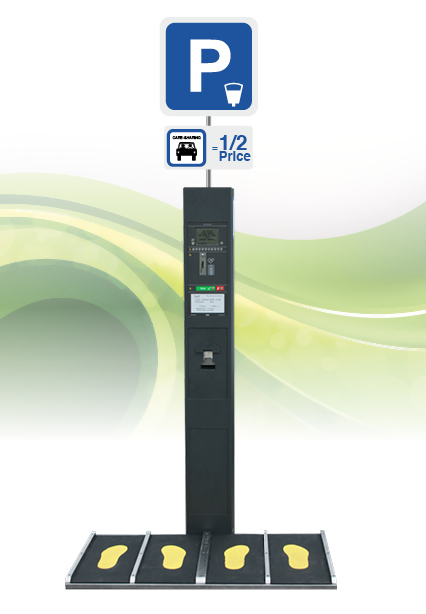 The system is made up of a Presto Europa or Presto Interactif pay-and-display machine which delivers paper or electronic parking permits. It also includes a sensor-equipped mat to identify the two car-poolers. The machine’s settings guarantee a lower price for vehicle-sharers. 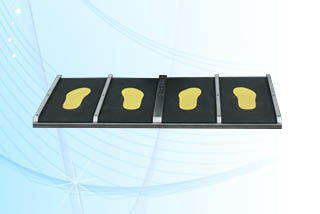 Verification against fraud takes place thanks to markings on the mat by the pay-and-display machine, in the form of at least four distinct footprints. When for example two people intend to benefit from the carpooling discount rate, they must position themselves on the footprints so the system can verify, quickly and simply, that there are indeed two different people present at the same time. 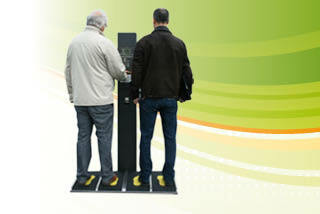 In the basic version, load sensors are integrated in the floor mat. They confirm that there are indeed two different people present at the same time. In order to avoid fraud, such as another person playing the role of a fictitious passenger, Presto Cov can be equipped with an image sensor. Soon, the latest 3D cameras will also be available to recognise silhouettes for even greater security. 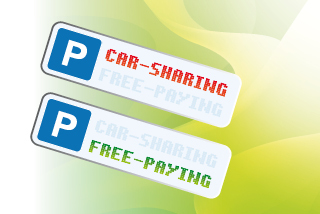 The real-time reservation system (available as an add-on) guarantees parking spaces are available for car-poolers without monopolising a large number of spots. In this system, the number of reserved parking spaces changes depending on how many spots remain overall, with a certain number of spaces reserved for car-sharing.